Atelectasis is a collapse of the air sacs in the lungs called alveoli. It may occur in a portion of the lung, or in the entire lung. Normally, oxygen enters the body through the lungs and is exchanged with carbon dioxide in the alveoli. The lungs expand and contract to create the exchange of these gases. Atelectasis is not a disease, but a condition or sign that results from disease or abnormalities in the lungs. Atelectasis may or may not cause symptoms. Small areas of collapse are less likely than larger areas to cause symptoms. Major atelectasis decreases the amount of oxygen available throughout the body. You will be asked about your symptoms and medical history. A physical exam will be done. This may include listening to your lungs for changes in the normal sounds. Other tests may be needed to confirm or rule out the cause of the atelectasis. Treatment focuses on treating the underlying cause and maintaining enough oxygen. The collapsed lung usually expands after the underlying cause has been corrected. Mild atelectasis often goes away on its own without treatment. The therapist uses different techniques to help clear mucus from the lung. You will be positioned so that gravity helps secretions flow out of the body. When resting in bed, lie on the unaffected side to promote drainage from the lung area that has collapsed. Moving around will also help clear your lungs. 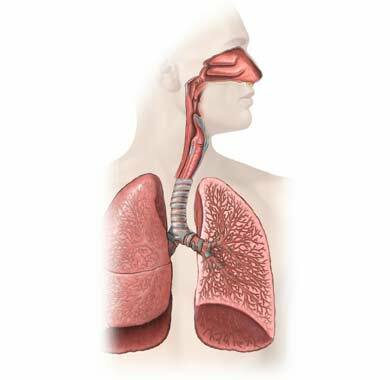 Bronchoscopy may be used to remove a foreign body or mucus that is blocking the airway. After surgery, follow instructions for deep breathing, coughing, and turning. Ask for pain medication if discomfort is limiting movement or coughing. If you need to, talk to your doctor about the best ways to lose weight . If you have a chronic lung or heart condition, follow the treatment plan outlined by your doctor. Atelectasis. Merck Manual Professional Version website. Available at: http://www.merckmanuals.com/professional/pulmonary-disorders/bronchiectasis-and-atelectasis/atelectasis. Updated July 2014. Accessed December 11, 2017. Explore atelectasis. National Heart, Lung, and Blood Institute website. Available at: https://www.nhlbi.nih.gov/health/health-topics/topics/atl. Updated January 13, 2012. Accessed December 11, 2017.